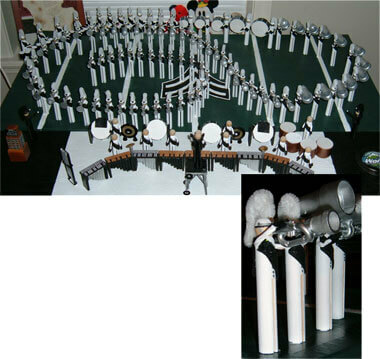 I marched in the euphonium line for Phantom Regiment in 2004. I made this display last Christmas as a sort of reflection of the season. While making each instrument, each piece helped bring back memories of being on tour. It was an experience I will never forget.